Rosecrans adjusts his lines. He moves Wood’s division forward to relieve Negley, so that Negley can move north to help Thomas in Kelly Field. He also puts Van Cleve’s division in motion, moving it closer to the front. After breakfast, Kershaw begins moving his division from its bivouac at Alexander Bridge toward the rest of Longstreet’s (Hood’s) First Corps. 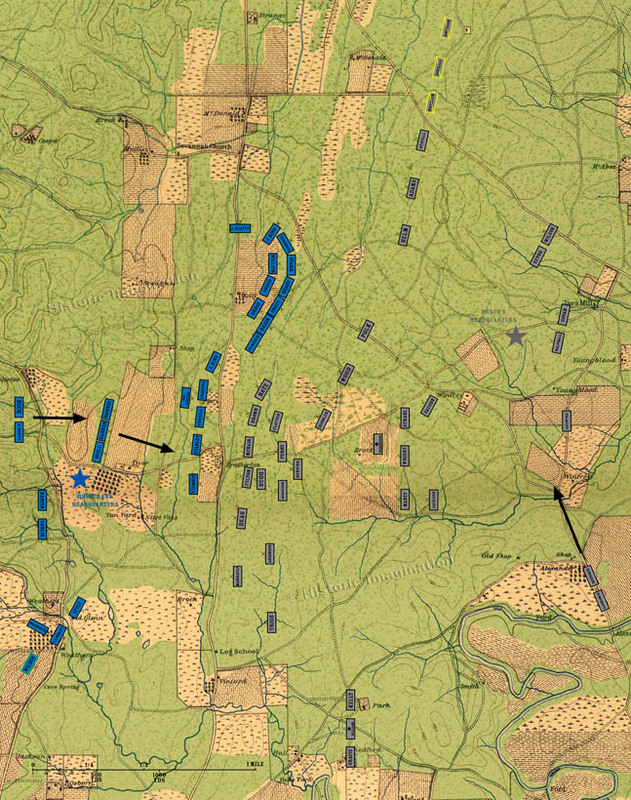 Forrest has also arrived at the front, extending north from Breckinridge’s lines and covering the army’s right flank.